DIY Ideas for Re-Using Empty Jars — Beardy Boys, Inc.
We know how much you love our healthy pecan spreads. So much so, you now find yourself with a growing collection of glass jars. What do you do with them? Repurpose, of course! Here’s five ways you can reuse your glass jars when you’re done scarfing down your favorite nut butter. Follow directions below for cleaning the label off the jar, wash well and voilà! You have yourself the perfect drinking glass. Make your Beardy Boys Choco Shake, add a garnish at the top and enjoy. This is a great idea for parties! Have an outdoor party? Drill a hole in the lid of the glass big enough for a straw to create custom covered drinking glass (to keep pesky bugs away!). Yes, that’s right – your old jars can double as votive candle holders to spice up your home. Fill the bottom of the jar with sand, or let the candle sit on its own. 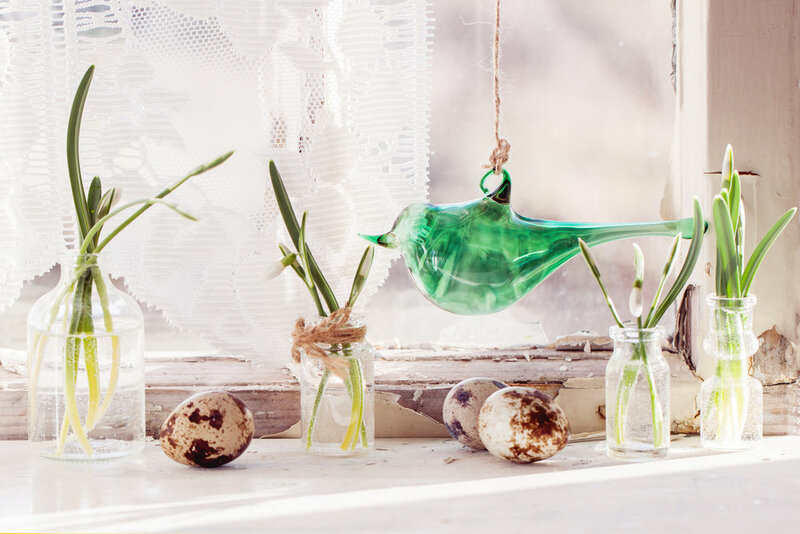 Hang the jars around your space with twine or use them as a beautiful table centerpiece with a cozy, warm feel. Decorate the outer rim with some fake ivy to top it off. So cute! Hint: You can also use the jars to create your own homemade candles. Paint the jar, decorate the outside with fabric, twigs, twine or even colored pencils – the possibilities are endless for cute vase ideas using your leftover jars. You can even get creative and make hanging vases to spruce up any living area! Decorate your empty jars and use them to store craft accessories, hardware, spices and more. Paint the lids with chalkboard paint to make it easy to label and re-label jars. Add style to any space instantly with a glass jar terrarium. Liven up the room or use it as an excuse for a fun craft with your kids. Place about an inch of small stones at the bottom of the jar (to allow for soil drainage), another inch or two of soil and place succulents to taste. Extra Tip: How to get that nasty label off with ease! Step 1: Soak the jars in warm to hot soapy water using a mild dish soap. Work the paper part of the label off; after soaking, the labels should come off easily, leaving the glue behind. Step 2: Put a couple drops of olive oil on a paper towel and rub at the remaining glue on the jar. Keep doing this until the glue is gone (You can also add baking soda to this mix for some extra scrubbing power). Use a scrubbing pad if need-be. Step 3: Once all residue is gone, wash the jar thoroughly and let dry. What’s your favorite way to reuse your Beardy Boys’ glass jars? Let us know, send us photos and you could be featured in an upcoming newsletter! All craft ideas were found here.